I started the first season last week, got four episodes in and got busy with other stuff but I finally finished the series thanks to the Target Exclusive Blu-Ray DVD combo pack. 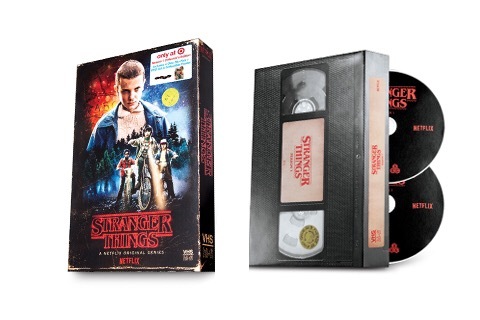 By now everyone has seen the mock-up VHS case that holds all four disc. You also get a poster of the Demogorgon with Stranger Things written in the center. Now let’s talk extras… There isn’t any. Pretty much every Netflix home video release are bare bones. One reason I haven’t picked up Daredevil. But this Stranger Things VHS made up for the lack of extras for me, sure interviews with the Duffer brothers would’ve been nice. No extras aside, it’s still worth a buy.